What is K12 Philippines All About? CIIT College of Arts and Technology created this web site to support the enhancement of basic education in the country. Through this page, the school aims to educate the public about the K-12 program and help students, parents, and teachers weigh the pros and cons of the new system. Why Support K-12 Education Curriculum? At present, the Philippines is the last country in Asia and one of only three countries in the world with a 10-year pre-university program. Unlike the 12-year basic education system of other countries, the current congested curriculum forces Filipino students to cram and endure a poor quality of education. 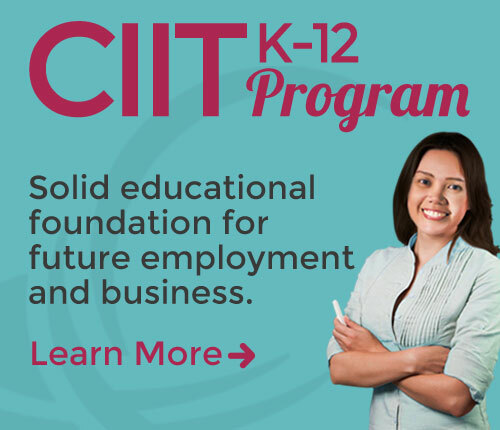 With the passing of the K-12 program, CIIT Philippines believes students will earn the competencies they need to enter college, get a job, or set up a business. The new system would give them enough time to master lifelong skills and focus on a specific field. By the time they graduate from the K-12 program, students will be legally ready to enter the labor force or start a venture. They will acquire abilities relevant to the job market and secure globally accepted certificates in their fields of specialty. What Does CIIT Philippines Offer? CIIT’s K-12 program aims to combine the benefits of both the Academic and Technical and Vocational Education and Training (TVET) tracks of the new system. Its specialized hybrid program in Animation and Programming not only equips students for a college education, but also hones them to be employable after graduation.